Maintaining eye health is also about protecting your eyes from all manner of harm or trauma. Again, this sounds fairly obvious, but you would be surprised at how many people take their eye health for granted, and therefore do not take the necessary precautions to protect against trauma. While you may immediately think of physical injuries, ocular trauma is not only limited to direct physical impact. Eye injuries can also occur from chemical and radiation exposure, so be careful when handling chemicals and when you are around extremely bright lights. Physical injury occurs when an object, sharp or blunt, impacts upon the eye. Trauma from sharp objects, such as glass, may result in lacerations or penetrating injuries. Blunt objects, such as squash balls, may cause injuries such as orbital floor fractures or globe rupture. Such injuries are not trivial and can significantly disrupt the physical structure of the eye. Eye health is compromised further from the associated inflammatory response, oxidative injury and soft tissue swelling. Globe rupture occurs when impact from a blunt object is sufficiently strong to disrupt the tough protective coat of the eye (cornea or sclera), causing the ocular contents to prolapse out. In this example, the bottom of the iris is prolapsing out of the eyeball. A distorted pupil is a tell-tale sign of globe rupture. If this happens, you will need an urgent operation to repair the rupture. 1. Wearing protective goggles when operating machinery or playing sport. Also consider eye protection when handling firearms, fireworks and bungy cords. Remember that accidents occur when you least expect them. For further information on workplace safety, check out this infographic on Eye Safety on the Job. 2. Wearing safety belts while driving. Safety belts have slashed death rates from motor vehicle accidents by more than half. Not only that, by preventing the driver or passenger from being thrown forwards, seat belts have also significantly reduced the incidence of windscreen-related eye injuries. It takes less than 30 seconds to put on your safety belt, so always wear them while driving. That 30 second you spend wearing your seatbelt may save you your life and your sight. 3. Protecting your child's eye health. Cushion sharp corners on furniture to reduce the risk of injury. Remove any sharp or pointed objects so that they are not easily accessible and reached by your child. If your child needs to wear spectacles, choose plastic frames and polycarbonate lenses which are tough and shatter-proof (but scratch more easily). Finally, remember to choose toys wisely. 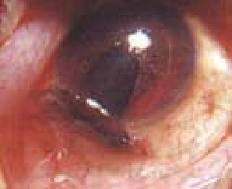 Chemical injury occurs when a chemical comes into contact with the eye. This can be from any chemical - paint, oil, medications, acids, alkalis, etc etc. In the most part, most chemical injuries are minor and do not have any adverse effect on eye health in the long run, such as splashes from shampoos, conditioners, handwash and sunscreen. There will be stinging and burning initially, but this will eventually settle with no long-term consequences. However, if there has been chemical spillage on to your eye, do not automatically assume that it will be 'ok'. The very first thing to do is to irrigate immediately with copious amounts of cool water, even if it is ordinary tap water. Not sure if you've irrigated enough? The rule of thumb is to irrigate with at least 1 liter of water. If in doubt, just irrigate some more! There is very little harm from irrigation (apart from transient stinging) but potentially a lot of harm from the chemical injury, especially if it's from more damaging chemicals such as pesticides and strong alkalis. If you wear contact lenses, remove and throw them away to avoid repeat exposure to the chemical. Always irrigate the eye with plenty of cool water if there has been chemical spillage into your eye. 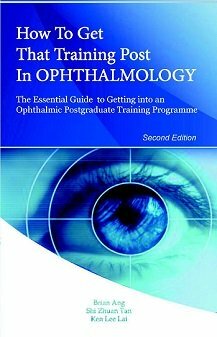 Once your eye has been rinsed thoroughly, arrange to be seen by your ophthalmologist. You can do this by positioning your head under the tap or faucet. Alternatively, direct water from your shower onto your forehead so that the water can run down into your eyes. Ensure that the water is cool and under low pressure to avoid further trauma to the eye. If you have someone with you, it may be easier if your companion flushes your eye in a more controlled manner with a syringe, jug or water bottle. Pay particular attention to the areas under the lids, which is where the chemicals can accumulate. For children, lie them in a bath tub and then gently rinse the eye. As with all eye health issues, prevention is far better than cure. You can get major eye problems after chemical injuries, such as severe dry eyes, corneal scarring and intractable glaucoma, leading to blindness. Wear protective goggles and gloves when handling chemicals, such as pesticides and paint. Wearing goggles may seem tiresome for trivial chores, but it is not worth compromisng on your eye health and vision just because you didn't spend the 2 minutes putting on your goggles. Also consider your child's eye health - child-proof your chemicals by storing them somewhere safe and secure, where they are not easily spilled. For peace of mind, it may be a good idea to keep a list of chemicals and instructions on what to do in the event of exposure to these chemicals. 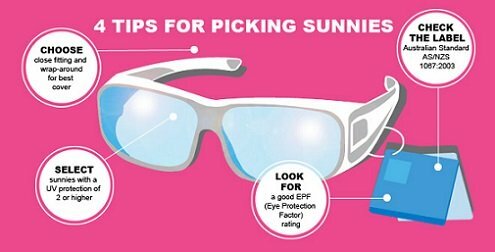 Always wear eye protection when playing sport, performing any heavy manual work or handling chemicals. Radiation injury occurs when radiation from any source causes ocular damage, for example when looking at the sun during the eclipse or when welding without any protection. The high amount of radiation affects eye health by causing thermal burns not just to the retina but also to other parts of the eye. If you are unlucky, the trauma from the thermal burns can affect your macula and cause permanent blindness. There is also evidence that ultraviolet light and bright sunlight conditions contribute to the worsening of certain eye problems such as cataract and age-related macular degeneration. It is therefore important to shield your eye from the harmful effects of excesive sunlight exposure. So the next time you head out to enjoy the sunshine, wear a cap and 100% ultraviolet blocking sunglasses. If you need to weld or perform any laser procedures, wear the appropriate protective eyewear. Do not look directly at an eclipse. Use your camera to take photos or videos instead. Looking at very intense light, such as at welding work (left) or solar eclipses (right), may cause damage to the retina resulting in permanent visual loss. If you are at all concerned about your eye health due to a potential injury that may have occurred, do obtain a consultation from your local ophthalmologist. Your ophthalmologist will be able to perform a detailed examination with various ophthalmic instruments, diagnose any eye problem and administer the appropriate treatment. Family doctors are also able to conduct an ocular assessment, but may be hindered by a lack of ophthalmic equipment to perform a thorough examination.